Biscotti. Their name means “twice-baked biscuits.” They originated in the city of Prato in Italy, north of Florence, though these days you’ll find versions all over the world. 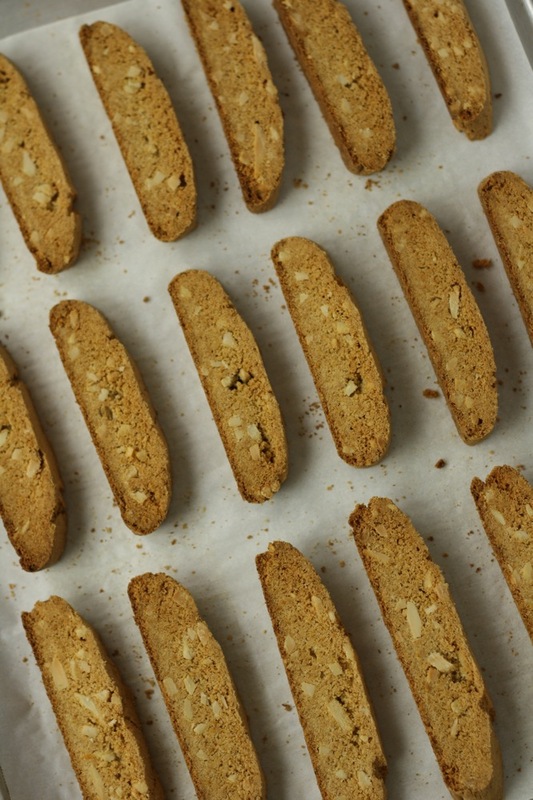 The hallmarks of classic biscotti include their oblong shape, the inclusion of almonds, and their dry, crunchy texture, thanks to the twice-baked process of making them. 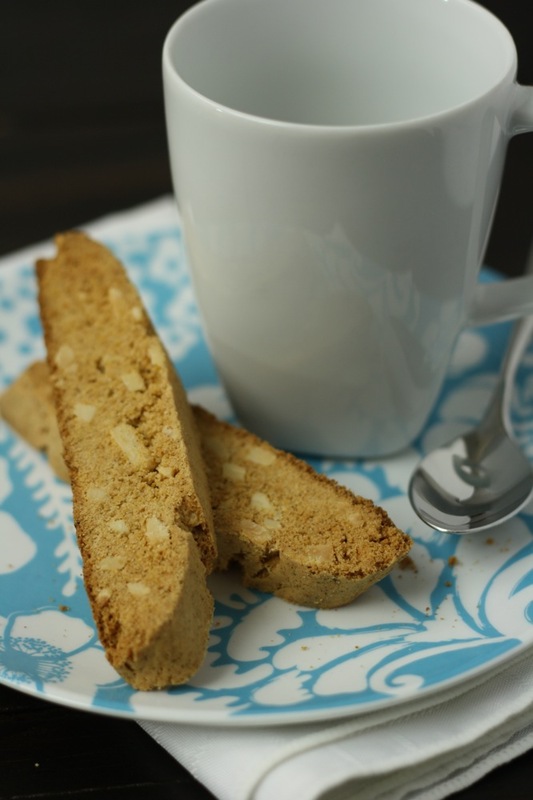 One great thing about biscotti is that they’re not especially dependent on gluten, so while they may appear to be an “exotic” baked good, they’re actually quite straightforward to make gluten-free! 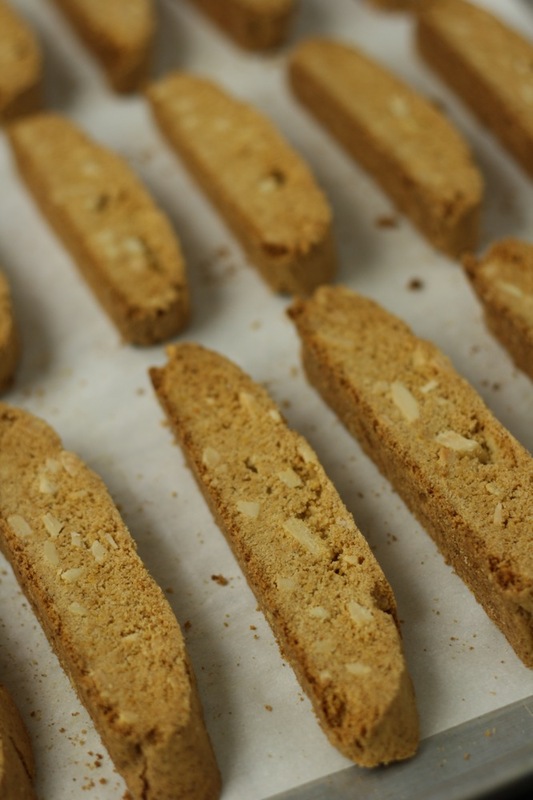 Biscotti have been on our list of recipes to develop for some time. 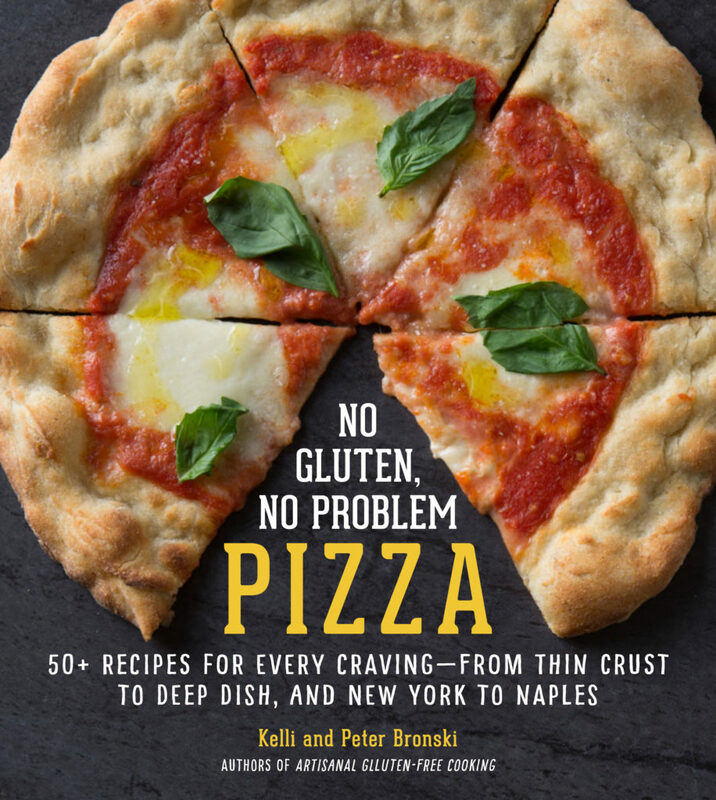 Kelli used to make them when she worked at Hope’s Way, a cafe and caterer in her hometown of Ithaca, NY. Meanwhile, my Italian Godfather (no, not that Godfather) makes a pretty awesome biscotti, though for obvious reasons I haven’t eaten one in a very long time. Now that we’ve made this orange-almond version, I can’t believe we didn’t get around to this sooner. I have a suspicion biscotti will be making a regular appearance in our kitchen, and just maybe in yours, too. 2. In a bowl, combine the flour, baking powder, baking soda, salt, and xanthan gum. Mix and set aside. 3. In the bowl of an electric mixer, cream together the butter and sugar, until fluffy. 4. Add the eggs, one at a time, mixing to incorporate. 5. Add the orange extract and zest. 7. Add the almonds and mix to incorporate. 8. Place a piece of parchment paper on a baking sheet. 9. Divide the dough in half. On the baking sheet, shape each half into a log about 11 inches long, 2.5 inches wide, and about a half inch tall. Leave a few inches of space between the two parallel logs. 10. Bake for 30 minutes. Remove from the oven and let cool for 10 minutes. 11. Transfer to a cutting board, and with a large serrated knife, slice each log into about 15 pieces. 12. Return the slices of biscotti to the parchment-paper-covered baking sheet, with a cut side down. 13. Bake for 20–25 more minutes, until golden brown and dry. 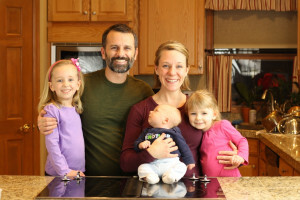 * Living here at altitude in Colorado, we made this recipe with 1/4 cup more flour than we’re calling for in this recipe to account for the elevation. This is a fairly standard altitude adjustment in our recipes, but we haven’t had an opportunity to “down-test” the recipe as written at sea level. These were seriously good. And I’m not even that big of a fan of biscotti. I ate two of them!